Every year I look forward to not only seeing what new fashion trends will emerge for fall and spring but also how home decor will change also, the two always go hand-in-hand. I'm also curious as to seeing the Pantone Color of the Year, this year it's Radiant Orchid which I've shown just a hint of in the image above. It's a bold color but I can already imagine it will be the color of choice for bridal bouquets and bridesmaid dresses as well as accents for the home. When it comes to decorating, I don't like my home or a clients to come across as too trendy. There is something special about combining carefully curated pieces over time with new found favorites. 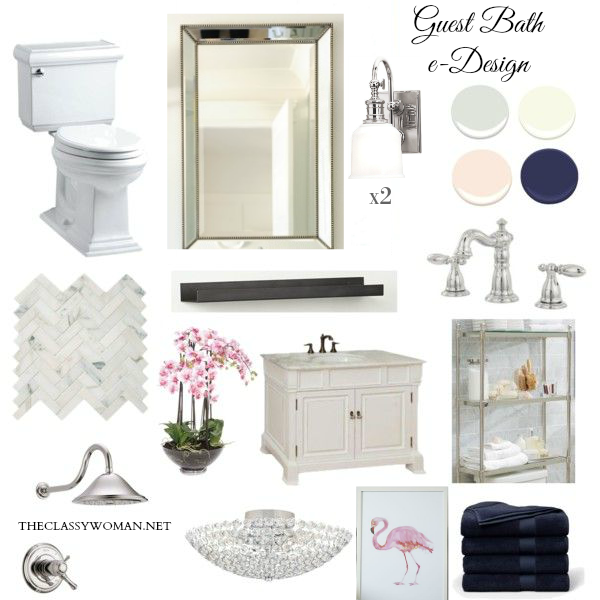 Here are a few decorating trends for 2014 that I'm really loving right now. 1. Navy- While my own home does not currently have any dark hued walls, there is something so rich about darker colors that is making me want to paint a small space in our house. Even done sparingly they can really have an impact, especially in a small space such as a powder bath or used as an accent wall. We've seen a lot of white, gray tones and taupe tones over the years and while I love a neutral backdrop, navy has been calling my name. When I planned Lily's nursery last year before she was born I had not intended to use any navy blue as I wanted to keep it light and airy. It happened by accident as I fell in love with a peony printed crib bumper and sheet set from Pottery Barn that included white, two shades of pink and navy as the peony leaves. So, navy is now a part of her room and while it's still not completed (I've really dragged my feet in that room. *sigh*), I will be adding a few navy accessories to create a cohesive look. A couple other shades of blue that continue to be popular at the moment are peacock blue as well as cobalt. I really love both and they compliment navy well, particularly peacock blue. If you're not sure where to use it inside your home, perhaps it will compliment your exterior by painting your front door and/or shutters. 2. Mixed Metals- It used to be that if we wore gold jewelry it was not to be mixed with silver but times have changed and we can see that not only in fashion but also in home decor, there is a mix of using various finishes. It's no longer seen as tacky but trendy. This is not to say that you should mix and match hardware in a kitchen or bathroom but rather by bringing in other elements such as mirrors and smaller accessories. In other living spaces in our home where it has been commonplace to use only identically colored photo frames or artwork system components such as for a gallery wall using all black, all white or all silver frames for example, it's now acceptable to mix and match particularly with the metallic colors. 3. A Return to Tradition-There has been a focus on modern and eclectic looks for some time now, the web is filled with new option for modern, clean, minimalist decor but that is starting to change. There is an interest in the return to a cozy feeling at home furnished with traditional elements, for many of us adults they remind us of our childhood. 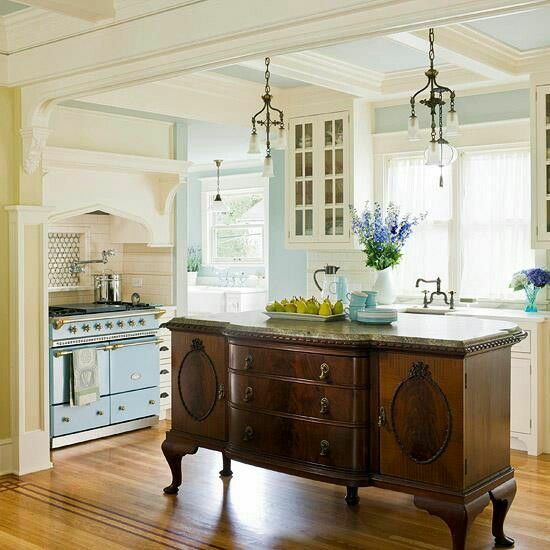 Traditional design is timeless, it never goes out of style. 4. Vintage Finds-While the use of antiques and vintage pieces in general are nothing new (no pun intended), they have increasingly gained popularity as the way to finish a space. When decorating many people don't take the time or have the time to collect special treasures over the years from travels, etc., so adding vintage and antique pieces is a great way to add interest to any space. These special pieces are often the topic of conversation during dinner parties. Artifacts from days gone by as accessories become points of interest while rounding a space out. If they have been handed down from generation to generation in your family all the better! They help a space not feel too perfect and they also add character. One of my favorite ways to use vintage furniture other than for its intended purpose is to use a dresser as a vanity for example in a bathroom. It's so unique, you won't find it in anyone's else's home used quite that way. 5. Florals- When I used to think of floral printed fabrics and home decor it would conjure up images of grandma's house or the homes where sofas were covered in plastic. They just seemed to have an outdated feel. That is no longer the case though, there are so many beautiful floral prints available whether you're looking to dress your bed with a new duvet cover, accent pillows for a living room sofa or even a set of framed photography prints, everything exists from the most contemporary artistic version to vintage-style floral prints. 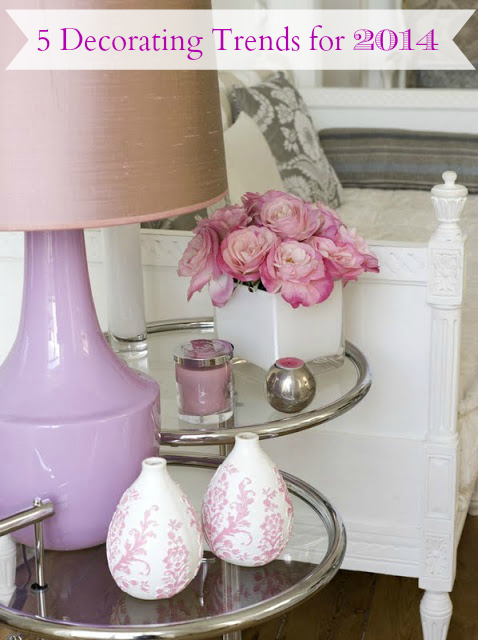 Just like lace, ruffles and soft pastels, florals can add femininity to a space which is especially important for a home that has a lot of hard edges or has a masculine feel. Last year I bought my first pair of cropped jeans in light gray with a floral pattern in white, dark gray and light gray. I had a lot of fun coordinating various tops with my new pants-they were so different and added a fun vibe to my wardrobe. The look of faded black and white is also very of the moment and I'm a bit obsessed with this mirror in herringbone which is a bit more modern. I also discovered the same round mirror in a white bone which is so elegant and really very timeless, I know I'd keep it for a long time. I need to find a spot for it in my house! We're discussing some updates in our master bedroom so I'd love to place it over my dresser. 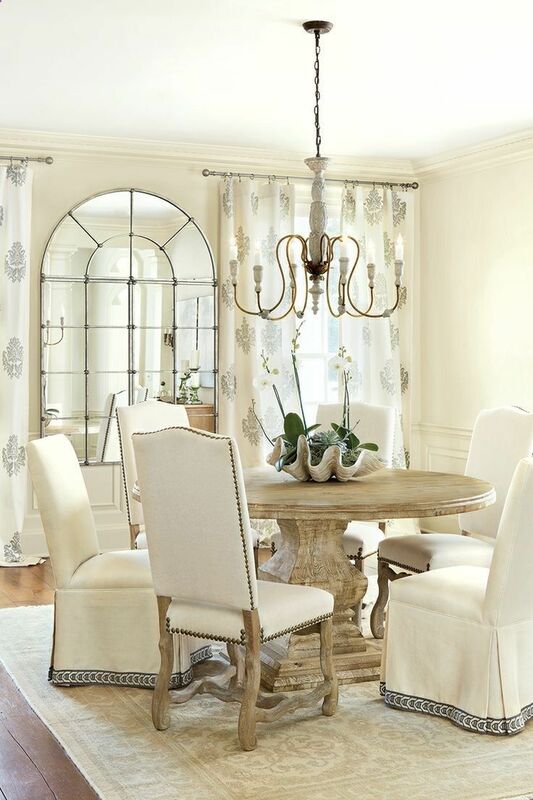 What are your favorite of-the-moment decorating trends for 2014? Have you implemented any of these that I've shared here in your home? I'd love to hear about it!